Introducing Hermetic RDA by Blitz,an exquisite and innovative rebuildable tank atomizer with 22mm diameter. It adopts an unique ceramic clamp system build deck with one post two holes for convenient single coil building and high compatibility with various heating coils. 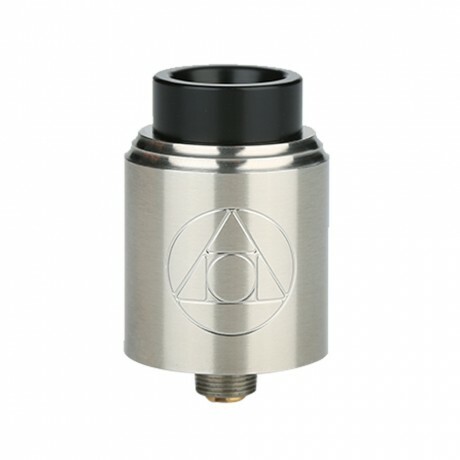 Moreover with a bottom feeding pin, Hermetic RDA also can compatible with Squonk Mods. Together with bottom airflow design utilizing Bridged Airflow Technology for huge vapor and without leaking, Blitz Hermetic brings you a magic vaping. Two kinds of 810 drip tips and a 510 drip tip adapter included.